and love would burn this city down for you. and everyday would stay the same with you. if all the tears you cry would fade away. my eyes have always followed you around the room. I'm holding on and waiting for the moment to find me. for my heart to be unbroken by the sea. 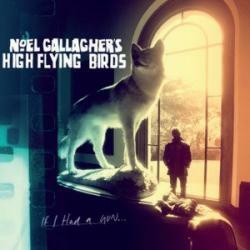 IF I HAD A GUN es una canción de Noel Gallagher. Agradecemos a Elias! por haber subido la letra.